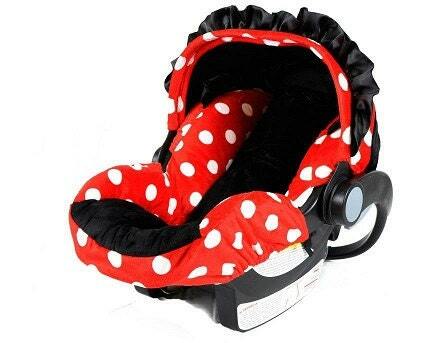 Red Polka Dot, Infant Car Seat Replacement Cover. You choose colors. shipped very quickly! love it! thank you so much! totally LOVE IT!!! It's even more adorable it person. Very good, professional-looking, quality!!! And it even shipped a couple days sooner than I expected. Very pleased. Thank you !! !